Oh, to see the ocean, Sallie thought. And to spend the summer as a nanny. She shook her head in amazement. This seemed too good to be true, but she really must talk it over with Dat and Mamm, especially since she’d be gone so long. And after I promised Mamm I’d take baptism classes this summer . . .
Sallie Riehl has dreamed of traveling at least once before settling down to join church, so she is thrilled at an unexpected summer opportunity to nanny in Cape May for a well-to-do family. However, saying even a temporary good-bye to Paradise Township means forgoing baptism another year, as well as leaving behind a would-be beau. 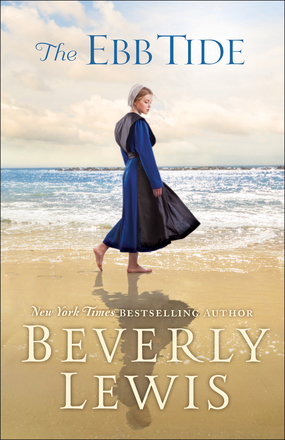 Yet the weeks in Cape May soon prove unforgettable as Sallie meets a Mennonite young man whose friendship she quickly begins to cherish. Has she been too hasty with her promises, or will she only find what her heart is longing for back home? Beverly Lewis has a wonderful way to make stories come alive within the pages of her books. Every time I finish a book or a series I’m sad to see it come to an end. Sallie is not the typical Amish girl and wants to explore places before she joins the church. After her first trip to a faraway place by airplane doesn’t happen she is give an opportunity to see the ocean for the summer. Her intent is to return home and join the church. Life isn’t always laid out in a neat package. Sometimes God has different plans for us and Sallie has to find out which path God is leading her on. This is just a beautiful story that is so descriptive in the details of Sallies surrounding and of her heart. You can’t help but not to be swept away in her dreams. Not to mention that this is a page turner to the very end. All of Beverly Lewis books have such intriguing characters and plots. Most of all a message about our Christian walk. This story I see waiting on God to direct our paths and not trying to please others but, letting go and let God direct our way. I’m not going to give away the story. I enjoyed this story and look forward to more books from Beverly Lewis. ReneeK is a sweet tea addicted mamma who loves to cuddle up to a good book. She blogs at Little Homeschool on the Praire and writes about family, homeschooling, having a special needs child, and about whatever else tickles her fancy.